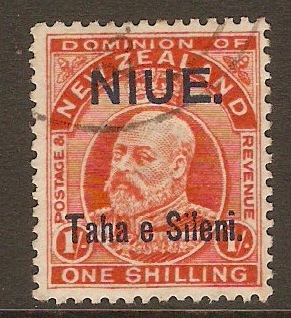 Niue 1903 6d Rose-red. SG14. 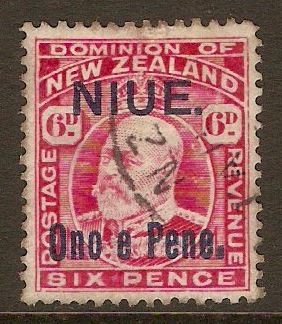 Used Niue 1903 6d Rose-red. SG14. 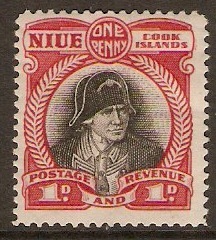 Niue 1903 1s Bright red. SG16. Fine used 1903 1s Bright red. SG16. 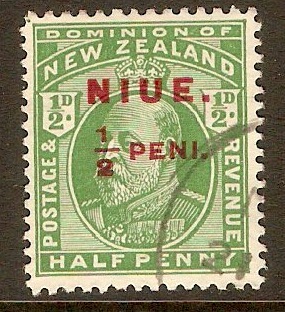 Niue 1911 ½d Green. SG17. Fine used 1911 ½d Green. SG17. Perf 14 x 15. 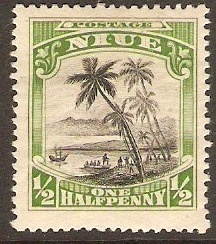 Niue 1920 ½d Black and green. SG38. Mounted mint 1920 ½d Black and green. SG38. 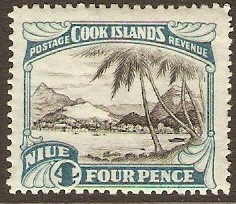 Niue 1932 ½d black and emerald. SG55. Unmounted mint 1932 ½d black and emerald. SG55. Niue 1932 1d Black and deep lake. SG56. Unmounted mint 1932 1d Black and deep lake. SG56. Captain Cook. 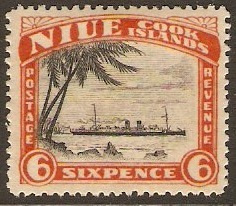 Niue 1932 2d Black and red-brown. SG57. Mounted mint 1932 2d Black and red-brown. SG57. 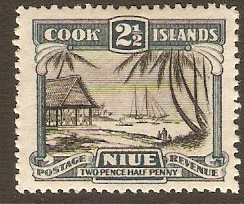 Niue 1932 2½d black and slate-blue. SG58. 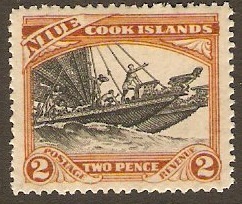 Mounted mint 1932 2½d black and slate-blue. SG58. 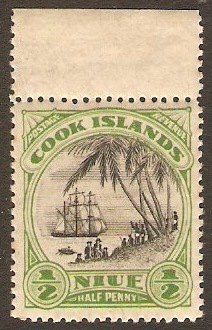 Niue 1932 4d black and greenish blue. SG59. Mounted mint 1932 4d black and greenish blue. SG59. 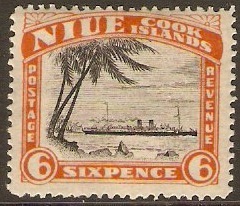 Niue 1932 6d black and orange-vermilion. SG60. Mounted mint 1932 6d black and orange-vermilion. SG60.